for a play time of what ifs! I changed direction every 10 rows. 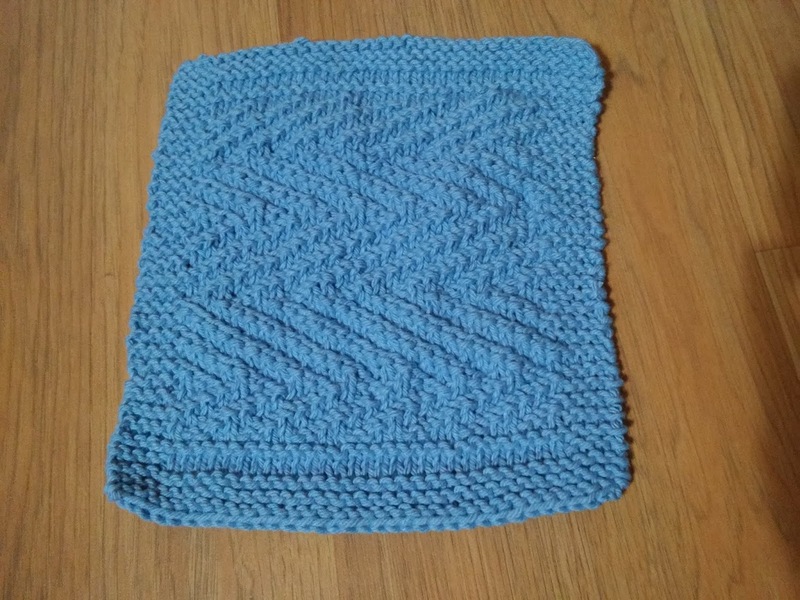 36 sts on #6 needles with cotton yarn. 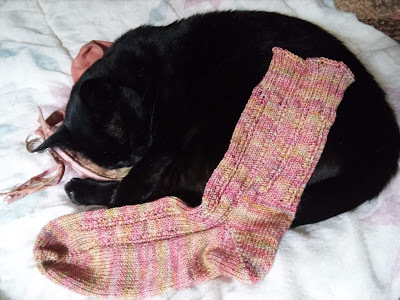 One KAL sock is done! so that I would know 'where' I was! I did do the pattern all around the leg. KnitPicks Koi Pond yarn, #1 needles over 64 stitches. I found the same thing with the sock too. I ended up doing a plain foot on mine. Yup, mine torqued as well. I like the effect. I'm only through 4 repeats of the pattern - up to the heel flap, but hope to work on it tonight and over the weekend. It's a fun knit. 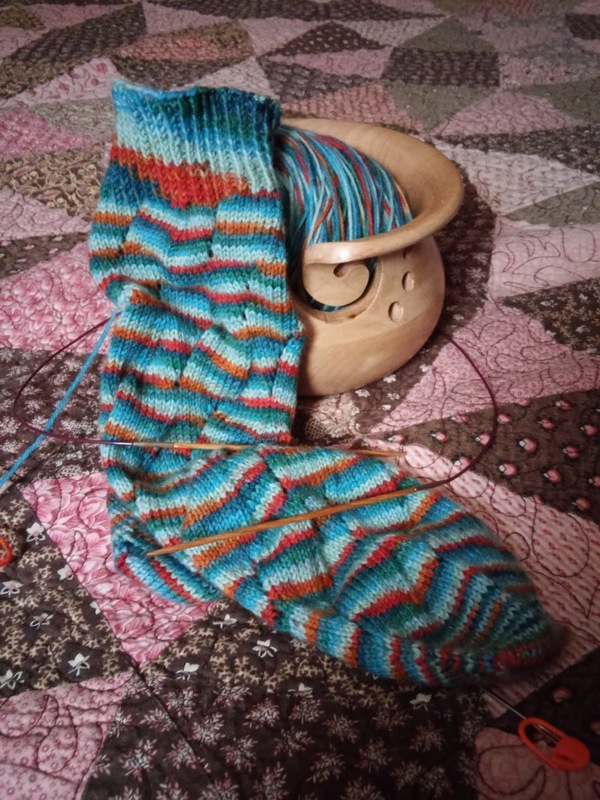 I have a skein of Koi Pond tucked away in the sock stash. It really is pretty. It might have the be the next in line to be cast on. Nice finishes! Koi Pond created a nice striping sequence. Terrific sock colors! Now off to google Koi Pond yarn! I love how the color patterns change with the stitch patterns. 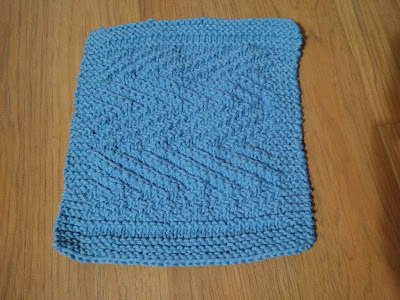 OH I love a dishcloth!!!!! And your sock color way is awesome! I'd have to put a marker in it too if it kept shifting!